Financial pressure started building as well. As long as new riders kept signing up, cash kept flowing in the form of deposits. But it has been expensive for the companies to replace damaged stock, and to hire workers to haul bikes all day from low- to high-demand locations. In April, Mobike was acquired by Meituan-Dianping, a food-delivery giant whose financial resources could help it continue to subsidize cheap bike trips. But Ofo has had trouble lately raising money from investors, Mr. Dai said in his letter this week. The company withdrew from several overseas markets, including the United States, this year just months after entering them. Mr. Dai, who said just last year that Ofo had ballooned to more than $2 billion in value, was recently added to an official blacklist of credit defaulters. According to a government database, he and Ofo’s parent company owe a total of $7.8 million related to various contract disputes. Being on the list means Mr. Dai can be blocked from booking fancy hotels or flying first class. 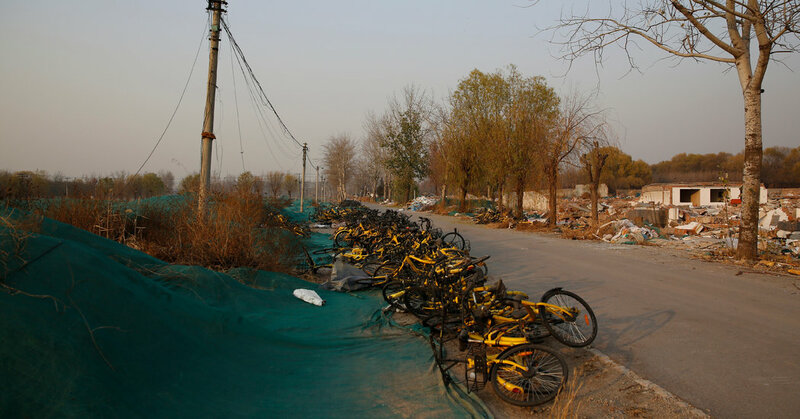 Ofo’s bikes still have their fans in China. Bi Wenwen, a 38-year-old entrepreneur in Shanghai, applied for a deposit refund in November. She does not expect to receive it, but she said she would still use Ofo in the meantime. “It provides a lot of convenience,” Ms. Bi said. Wang Jinzhi applied for a refund from Ofo two weeks ago. But he has already lost all confidence in the sharing economy. Mr. Wang, a 28-year-old financial analyst in Beijing, lost the $500 deposit he paid a high-end car-sharing company after the company folded. He also failed to get his deposit back from Bluegogo, another bike-rental start-up. In the end, he bought his own bike. Elsie Chen, Albee Zhang and Zoe Mou contributed research.